A prestigious chocolatier wants to optimize the chemical treatment of its wastewater. NISKAE was solicited to make a thorough analysis of its dirty waters. Precise laboratory testing has enabled the preparation of a last-generation flocculant and coagulant product. A custom-made formulation that produces clear and clean water, while respecting environmental standards! A prestigious chocolatier generates 80 m3/day of water containing chocolate, oil and grease. The manufacturer wants to optimize the chemical treatment of its wastewater and to facilitate its logistics. NISKAE was solicited to make a thorough analysis of its dirty waters. Precise laboratory testing has enabled the preparation of a last-generation flocculant and coagulant product. The process now requires only a single formulation, effective in small quantities on all components. The treatment requires 50 times less reagent in the form of powder than liquid with an automatic dosage. Thus, all industrial waters from the plant can be filtered in a single reservoir, greatly facilitating logistics and product dosages. 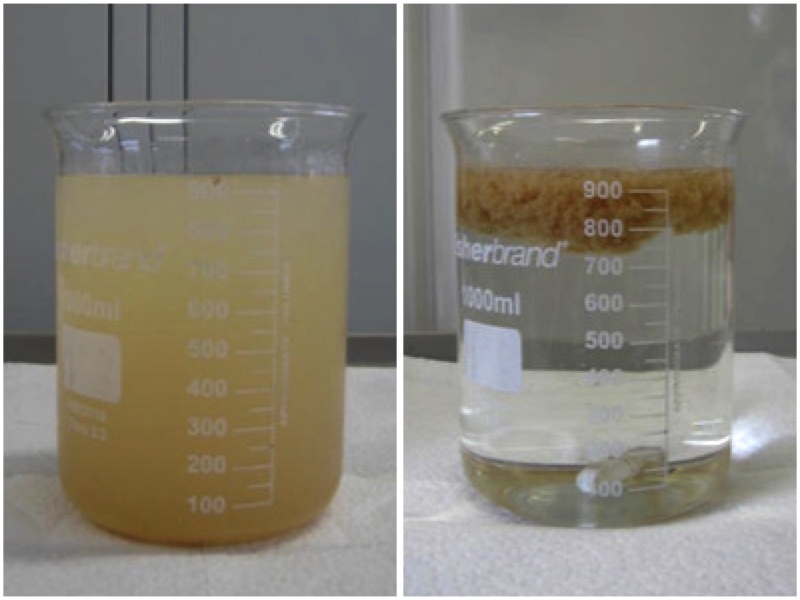 Chemical treatment of wastewater containing chocolate, oil and grease. Since treated waters are rejected to the pipes, it is important for the chocolatier to act as a responsible company and to minimise its chemical oxygen demand (DCO). Our custom-made formulation produces clear and clean water, while respecting environmental standards.